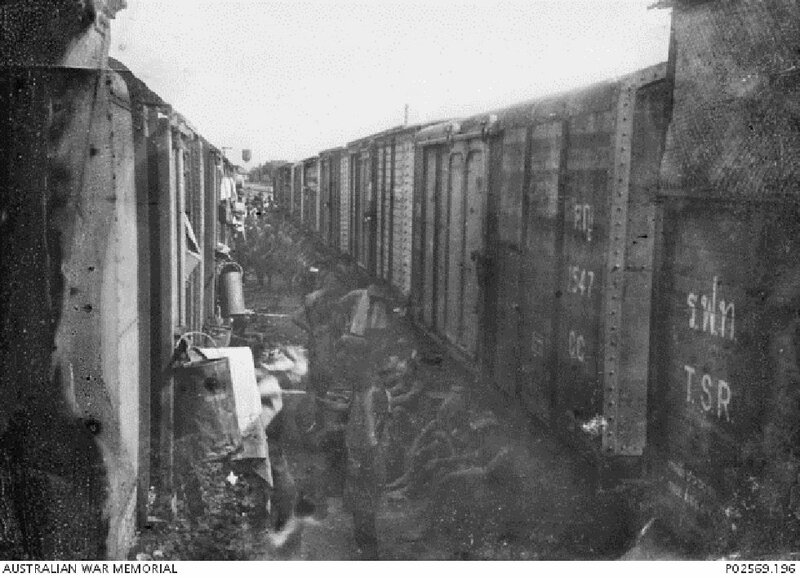 A view from the train taking members of Australian soldiers of "F Force" back to Singapore after working on the Burma-Siam Railway. This image is believed to be the last photograph POW George Aspinall took before destroying his camera in fear of discovery. Image taken circa 1944, courtesy of George Aspinall, Australian War Memorial. 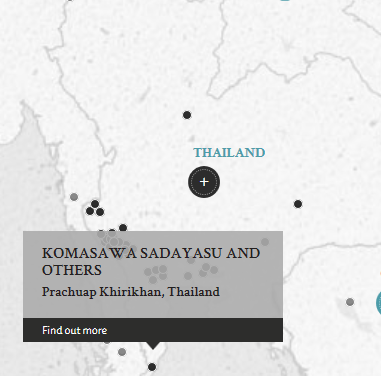 Eight Japanese officers from the 29th Mixed Independent Infantry Brigade were accused of ill-treating a party of British, Australian and Dutch Prisoners-of-War (POWs) who were tasked with building a road that ran from Prachuap Khirikhan, Siam to Mergui, Burma. All eight defendents were found not guilty as the judges found the "case against [them] groundless". The reasons cited were that a confession implicating another is only admissible against the person who made it and that a statement of an accomplice is not a corroboration of a statement made by another accomplice. Therefore, no specific or objective ill-treatment was proven against the defendants. Defence counsel did not make any submissions and in fact, none of the defendants were physically present for the actual trial. The trial largely relied on affadavits submitted during the investigation. Komasawa, Sadayasu. Colonel. From Japanese military. From Japan. Not guilty. Kamada, Takeshi. Major. From Japanese military. From Japan. Not guilty. Nagasaki, Masatomo. Captain. From Japanese military. From Japan. Not guilty. Takao, Hisakiohi. Captain. From Japanese military. From Japan. Not guilty. Kubo, Yoshio. Captain. From Japanese military. From Japan. Not guilty. Kondo, Buniohi. Lieutenant. From Japanese military. From Japan. Not guilty. Kanamori, Tetsujiro. Lieutenant. From Japanese military. From Japan. Not guilty. Hayashi, Muneo. Lieutenant. From Japanese military. From Japan. Not guilty. Smith, H. E. R. Lieutenant Colonel. From British military. Court president. Hebden, E. N. Captain. From British military. Dunsford, E. H. Captain. From British military. Khan, A. M. Major. From British Indian Army. Sawada, Tatsuo. Graduate, Tokyo University. Wait, R. T. Captain. From British military.